Just added - Comedy & Animation Panel, Presented by HBO! We are excited to announce the addition of a Comedy & Animation Panel, Presented by HBO and featuring the creators of the HBO series Animals, Phil Matarese and Mike Luciano! This event will take place on Saturday September 22nd of our closing weekend at the Brooklyn Bazaar. Purchase a badge here. Thank you from the Brooklyn Comedy Festival! We just wanted to thank all of the attendees, performers, and partners that made this year's Brooklyn Comedy Festival a success. We can't wait until next year! TODAY! Closing Night Surprise Party Comedy Show! Writers Panel! The Dollop Podcast! Jo Firestone and Aparna Nancherla! Queen + David Bowie Sing-Along! It's closing night! See below for a summary of tonight's events. $10 ADV, $15 DOS. All ages to enter, 21+ to drink. Doors open one hour prior to showtime, 8pm. FREE AFTERNOON EVENT: Writers Panel: Diversity in Late Night at Knitting Factory, 3pm. FREE well drink or Sixpoint beer or Captain Lawrence beer for attendees! Presented by NBC and NBCUniveral TIPS, which provides creative individuals of diverse backgrounds an opportunity to get their materials in front of key decision makers from the entire NBCUniversal family, as well as agents, managers, producers, and other industry players. Moderated by Julian Kiani, with panelists Kate Sidley (The Late Show with Stephen Colbert), Nedaa Sweiss (The Late Late Show with James Corden), Alex English (The Rundown with Robin Thede). FREE ENTRY. Ages 21+. Doors open 30 minutes prior to showtime. Aparna Nancherla and Jo Firestone are many things to many people: comedians, scarecrows, junior chefs, crayons. Suffice it to say they know what it's like to be an outsider looking in. Join them as they navigate their way through a show with the help of their foolish friends who agreed to help them. Their only promise is they will delight and confuse you, not in that order. Actually, no promises. Scarecrows have enough on their plate as is. $12 ADV, $12 DOS. Ages 21+. Doors open 30 minutes prior to showtime. Union Hall. The Dollop Podcast at The Bell House, 7pm. $25 General Admission, $50 VIP. (VIP includes early access to show and first selection of seats. VIP meet & greet with signed poster. VIP Doors 5:30pm.) Ages 21+. General admission doors open one hour prior to showtime. Under Pressure: Queen and David Bowie Sing-Along presented by SecretFormula. atUnion Hall, 9:45pm. Also, today and tomorrow afternoon the Brooklyn Comedy Film Festival in partnership with Kickstarter is screening comedy short films during brunch atNitehawk Cinema! Click HERE for Saturday info and tickets. Click HERE for Sunday info and tickets. $16 ADV, $16 DOS. All ages to enter, 21+ to drink. Doors open 30 minutes prior to showtime. Brunch menu will be available. TONIGHT! Chris Gethard, Michelle Buteau, Mamoudou N’Diaye, Yedoye Travis, Your Love Our Musical (Improv), DJ Donwill, Karaoke Tremendous, + more! Refinery29 + RIOT Present A Night of Really Funny People at Littlefield hosted by Michelle Buteau, with performances by Chris Gethard, Emmy Blotnick, Joyelle Nicole, Alex English, Jaboukie Young-White, Shalewa Sharpe, plus DJ DonWill, 8pm. Your Love, Our Musical with Evan Kaufman and Rebecca Vigil at Union Hall, 7:30pm. Your Love, Our Musical is a LIVE musical improv show about... love! 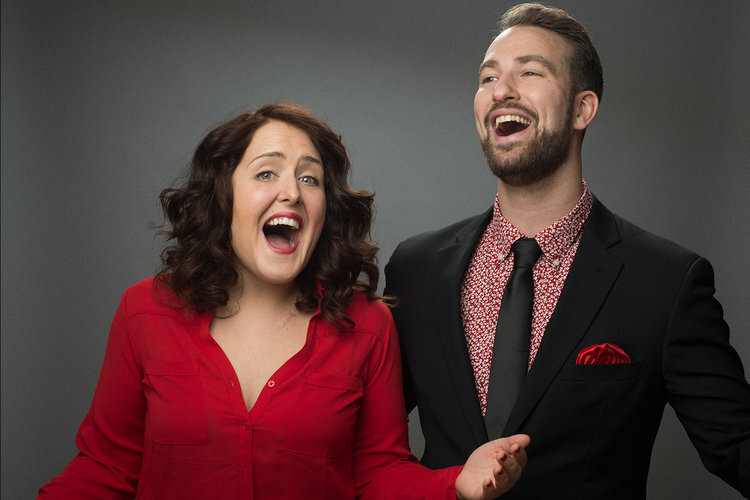 Musical improvisers Rebecca Vigil and Evan Kaufman interview a couple from the audience about their love life, than create a fully improvised musical about that couple’s love story! It's just like Hamilton... if Hamilton was about how you met your boyfriend online dating. Resistance Comedy hosted by Mamoudou N’Diaye and Yedoye Travis, with performances by Will Miles, Sarah Lazarus, Wanjiko Eke, and Josh Johnson at Union Hall, 9:30pm. Comedy to benefit our common good, with alternating hosts and comics. Proceeds will be donated to ACLU. $8 ADV, $10 DOS. Ages 21+. Doors open 15 minutes prior to showtime. Official after party at Union Hall with Karaoke Tremendous following our early shows on Friday! Karaoke starts at midnight! FREE ENTRY, NO RSVP REQUIRED. Ages 21+. Lord Easy (of Karaoke Killed the Cat) and Jeremy (Sir Jarlsberg) Gibson are out to spread love and kick down the walls of your private room karaoke! KARAOKE TREMENDOUS is like the karaoke you know, just turned up to 11. Put it this way, if your favorite dance party had a baby with a karaoke machine, that baby would be KARAOKE TREMENDOUS. You sing good? That's great! You don't? That's fine. Just bring the enthusiasm and we'll give you the fun!! Parents, check out our Comedy Writing Workshop (ages 8-13) at the Brooklyn Superhero Supply Company from 3pm-5pm today. 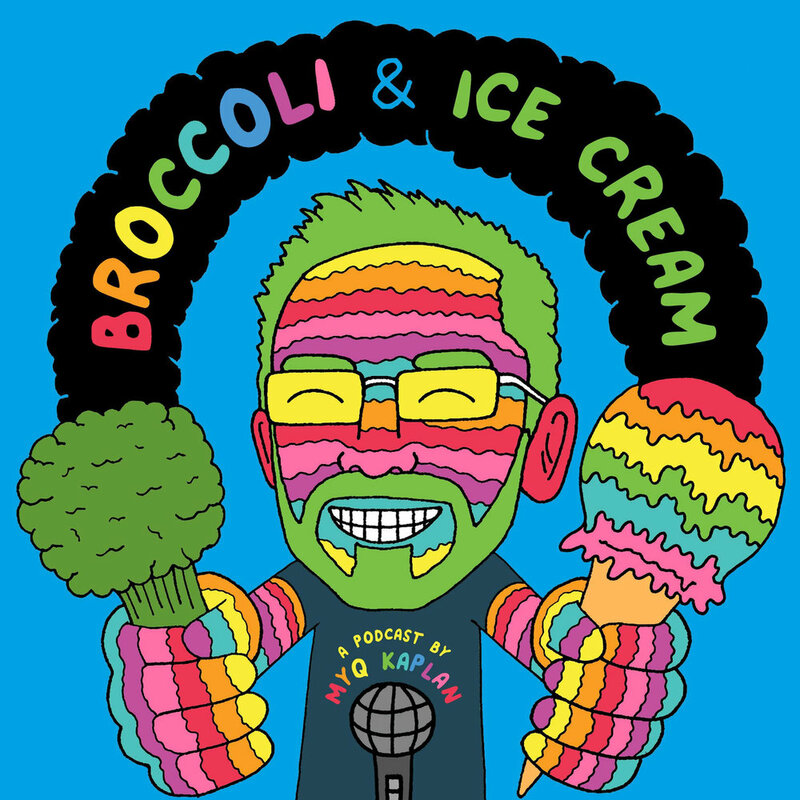 In this one-time workshop, students will learn about the art of comedy from professional comedians, who will be performing at the Brooklyn Comedy Festival. Students and comedians will work together to write jokes, and then perform them for the students' families at the close of the workshop! $25 fee to register and confirm attendance but fee not required. Benefitting 826NYC. RegisterHERE. Also, don't forget about the Brooklyn Comedy Film Festival all weeklong at Nitehawk Cinema. There's no screening tonight, but we will be showing comedy shorts Saturday and Sunday for brunch. 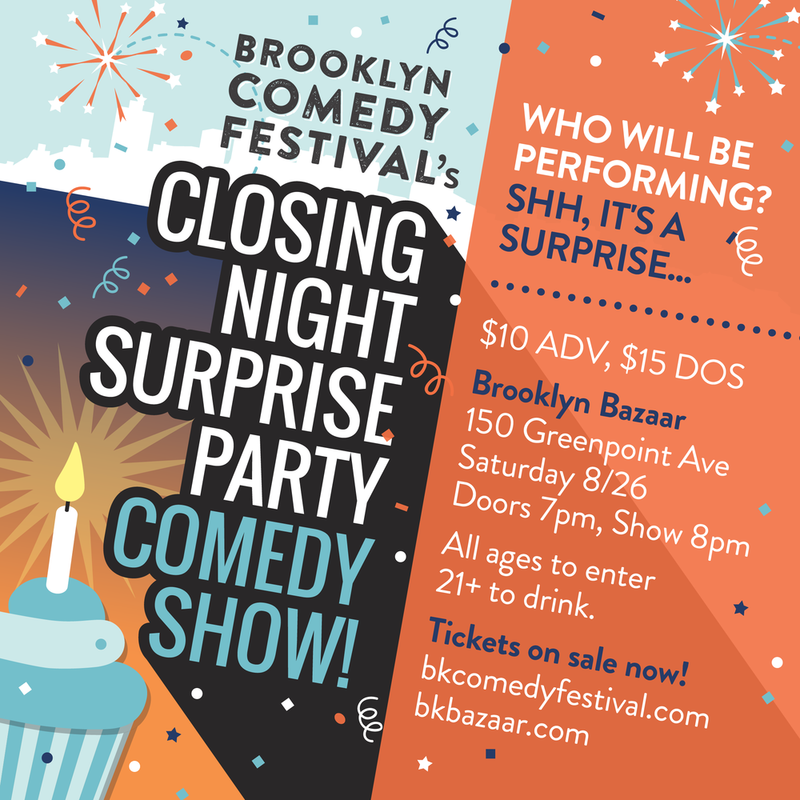 ...Finally, just a heads up that our Closing Night Surprise Party Comedy Show at Brooklyn Bazaar tomorrow night is going to be fantastic. TONIGHT! Sasheer Zamata, Corinne Fisher, Liza Treyger, Michelle Buteau, Emo Night Brooklyn, Jameson Happy Hour, Witch Taint, Jim Tews, Rojo Perez, + more! Elite Daily's Generation Why?! Live hosted by Rosebud Baker, with performances by Michelle Buteau, Emma Willmann, Liza Treyger, Janelle James, and Corinne Fisher atKnitting Factory, 8pm. $15 ADV, $15 DOS. All ages to enter, 21+ to drink. Doors open 30 minutes prior to showtime. PLUS: Jameson Happy Hour from 6pm-8pm. The first 100 people to arrive for Elite Daily’s Generation Why?! 8pm comedy showcase will receive a token for a free Jameson Caskmates + Captain Lawrence beer. Happy hour is 21+ only. Brooklyn Comedy Festival After Party by Emo Night Brooklyn at Knitting Factory! JOIN THE PARTY. SCREAM, DANCE, RAGE TO ALL OF YOUR FAVORITE SONGS WITH ALL OF YOUR FAVORITE PEOPLE AND EXPERIENCE THE AWESOMENESS THAT IS EMO NIGHT BROOKLYN,10:30pm. $10 ADV, $15 DOS. All ages to enter, 21+ to drink. Doors open 30 minutes prior to showtime. Gothamist Presents: Comic Views on the outdoor terrace of The William Vale Hotel, hosted by Rojo Perez, with performances by Sasheer Zamata, Brandon Scott Wolf, Joyelle Johnson, Jim Tews, plus more, 8pm. $10 ADV, $15 DOS. All ages to enter, 21+ to drink. Doors open 30 minutes prior to showtime. Witch Taint: The Black Metal DialoguesLive! at Union Hall, 8pm. Dave Hill's 100% real email chain with a Norwegian black metal record label owner is brought life complete with corpse paint, ill-fitting black clothing, disturbing videos, and- if all goes as planned- a live and mildly irritated goat, culminating in a live performance by the mighty Witch Taint that will probably scar you for life. You have been warned. $8 ADV, $10 DOS. Ages 21+. Doors open 30 minutes prior to showtime. Backfat: Brooklyn Comedy Festival Edition, hosted by Emily Winter and Chris Calogero, with performances by Nore Davi, Casey James Salengo, Aimee Rose Ranger, and Malcolm Nicholas at 61 Local, 8:30pm. FREE ENTRY, NO RSVP REQUIRED. Ages 21+. Doors open 30 minutes prior to showtime. Danny Groh Presents: DogSlam Comedy at Brooklyn Bazaar, FREE ENTRY, NO RSVP REQUIRED. All ages to enter, 21+ to drink. Doors open 30 minutes prior to showtime. Also, don't forget about the Brooklyn Comedy Film Festival all weeklong at Nitehawk Cinema. Tonight's screening features Neighborhood Food Drive. Watch trailer HERE. With a post-screening Q&A with director Jerzy Rose. Convinced that hosting a lavish charity fundraiser will improve the public image of their unpopular restaurant, two women hire an intern to help them plan and execute a neighborhood food drive. Despite their somewhat good intentions, the team quickly succumbs to petulance and laziness. They make repeat attempts—trying to maintain positive attitudes—but cosmic maladies cripple their efforts and they soon find themselves doomed. ...Finally, just a heads up that Refinery29 + RIOT's show at Littlefield tomorrow night now features performances by Chris Gethard, Michelle Buteau, Emmy Blotnick, Joyelle Nicole, Alex English, Jaboukie, Young-White, Shalewa Sharpe, plus DJ DonWill! One more thing about tomorrow night - if you enjoy some brilliant improv, check out Your Love, Our Musical with Evan Kaufman and Rebecca Vigil at Union Hall. TONIGHT! Mark Normand, Jo Firestone, Michelle Wolf, We B-E-E Spelling, Liza Treyger, Matteo Lane, Cartoon Monsoon, + more! Paste Magazine Presents: An Evening at the Brooklyn Comedy Festival on the terrace ofThe William Vale hosted by Becca Beberaggi, with Jo Firestone, Mark Normand, Michelle Wolf, Jena Friedman, and Joe Zimmerman, 9pm. $10 ADV, $15 DOS. All ages to enter, 21+ to drink. Doors open 30 minutes prior to showtime. A Comedy Spelling Bee Game Show Supporting Human Rights at Union Pool. Featuring Alex Greer, Will Miles, Tom Cowell, and Casey James Salengo. With music fromAndy Frasco and the UN, 8:30pm. Comedian spellers include Courtney Maginnis supporting Planned Parenthood,Chris Calogero supporting The National Center for Transgender Rights, and special guests! $10 donation online / $15 donation at the door. Ages 21+. Doors open 30 minutes prior to showtime. Comedians You Should Know: BKCF Edition at The Gutter hosted by Mike Lebovitz (Last Comic Standing), with Liza Treyger (Comedy Central), Nimesh Patel (Oscars), Matteo Lane (Colbert), DC Benny (Comedy Central), Patrick Schroeder (Roast Battle), Jeff Steinbrunner (CYSK Producer), 8pm. $5 ADV, $5 DOS. Ages 21+. Doors open 30 minutes prior to showtime. Cartoon Monsoon: BKCF Edition at Union Hall with Mary Houlihan, Joe Rumrill, Tim Platt, Steven DeSiena, Tessa Skara, Jaboukie Young-White, 8pm. Cartoon Monsoon is a comedy play starring Mary Houlihan, Joe Rumrill, Steven DeSiena, and Tim Platt as the puppeteer for "Puppet." Each show the gang goes on a brand new, never-before-seen action-adventure episode. The episodes are interrupted by cartoons from indie animators and character bits from guest comedians. This month's show features Jaboukie Young-White, Tessa Skara, Annie Donley, animations from General Interest Studio, & more! Also, don't forget about the Brooklyn Comedy Film Festival all weeklong at Nitehawk Cinema. Tonight's screening features Village People. With a post-screening Q&A with screenwriter Dan Schoenbrun. When Alan's wife flakes on a last-ditch effort to save their marriage, he's joined by his all too eager brother-in-law Mike on a trip to Nicaragua's 'Mercado Village,' a hipster resort for American tourists. As the two settle in, they meet Barbara, an American ex-pat who co-founded Mercado Village years earlier as a utopian haven for artists and free spirits. As Alan's relationship with Barbara evolves, his friendship with Mike takes an unexpected turn.